This is a day out for the thrill-seekers amongst you. 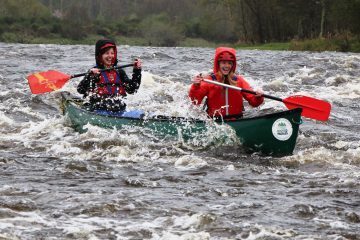 An awesome day out for an adventurous stag or hen group, or perhaps a bunch of friends visiting the area. 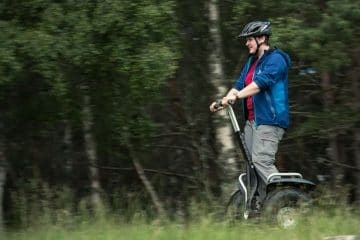 The day will start at 10:00AM with some adventurous mountain biking at the Glenlivet Mountain Bike Trail Centre. There some great trails to explore with some awesome cross-country routes around the forest. We can tailor the route to the group’s fitness and levels of experience but you should expect a fair bit of uphill cycling during this session! After a couple of hours on 2 wheels, you will travel a short distance to the Bridge of Brown for an awesome whitewater experience. The gorge at Bridge of Brown packs a lot of fun into a relatively small river gorge. 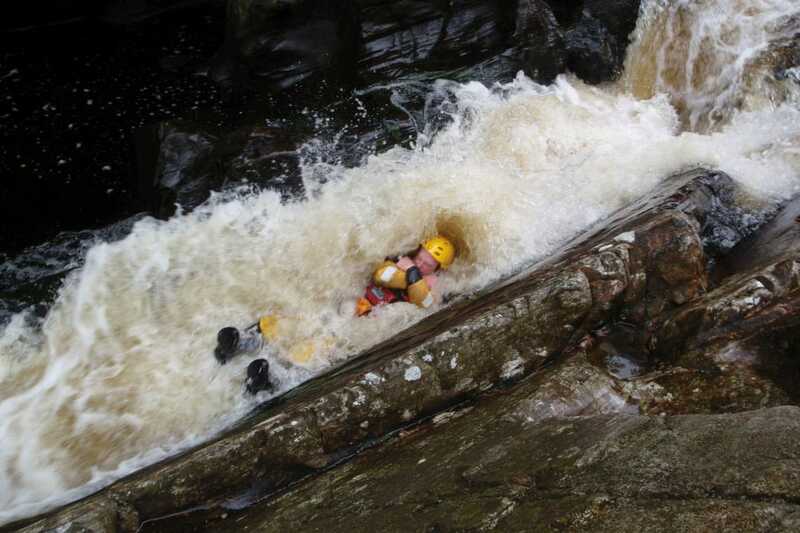 This exciting gorge venue has plenty of jumps, waterfalls, whitewater chutes, deep pools and swims. This is an awesome gorge venue to explore. You will require your own menas of transport. What’s included Bikes and helmets, Wetsuit, helmet, buoyancy aids. Hot drinks.